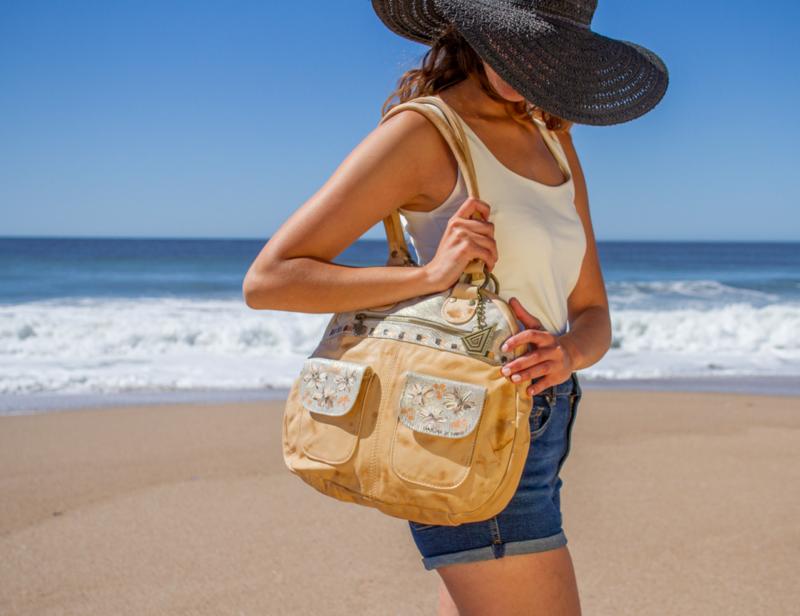 Handmade leather bag, shoulder handbag with handpainted flowers. This is spacious, elegant leather shoulder handbag for a day with style. Extra soft leather with special tan patina. Flap for pockets in the front gives this bag a neat shape. Fully lined with Carolina's design pattern fabric.This is 100 % finished top quality, hand made selected bovine leather. - Top zip closure, three pockets ( one inner and two outer zip pockets). - Available color: Ivory leather with detail of handpainted flowers at front.